Country music fans who have been waiting for acknowledgement of live Dolly Parton concerts are in for some good news. While it’s not a lot of dates, you will be able to catch Dolly Parton at two special live shows this year as she hasn’t announced a tour, but just the couple of shows. The shows are to celebrate Dolly Parton’s 50th Opry Member Anniversary. 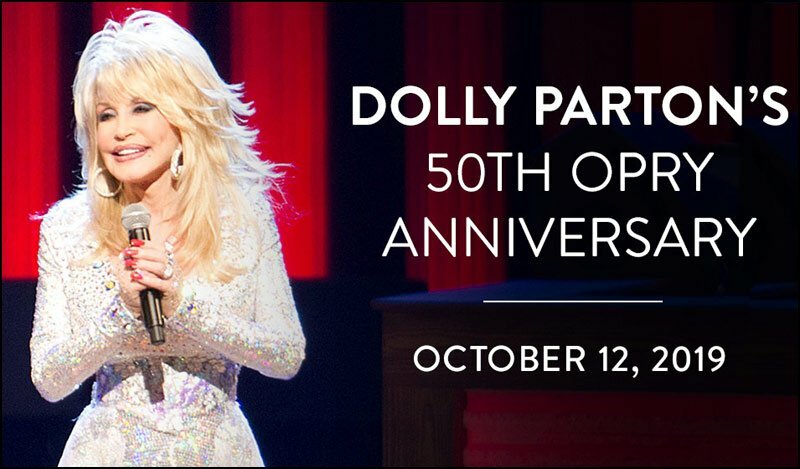 It is all part of what they are calling Dolly Week 2019 and it features a week-long celebration of Parton’s impact on music and the Opry, all leading up to her 50th anniversary performance on the Opry stage on Saturday, October 12, 2019. The two Dolly Parton concerts take place at the Grand Old Opry in Nashville, and trust me, these will be concerts not to miss, but will probably cost a pretty penny since seating is limited and the number of shows is so low. There will be live music performed on Friday, October 11th, but that does not have Dolly herself scheduled. That night is labelled as ‘Dolly’s Mountain Soul: Bluegrass, Americana & Roots Music honor Dolly’. But the following night, on Saturday, October 12th, Dolly Parton herself will perform live, one show at 7PM and the 2nd show at 9:30pm. We’re not sure if this means that Dolly has other dates planned, or a tour, or anything. Surely fans are going to be energized and excited after these shows are fully disclosed, but we’ll have to let time tell if Dolly responds with a tour announcement. You can check below for all the latest official Dolly Parton tour dates, links to look for tickets, plus some fun Dolly Parton music videos we found on YouTube. Dolly Parton fans who live near Nashville are in for a treat as it appears Dolly Parton will put on 2 shows at the Grand Old Opry there in October. Check back to see if Dolly Parton adds any further shows to her 2019 itinerary.